Note: At a recent preview event we played Metro Exodus on an Xbox One X development kit. Therefore, any information relating to the game’s graphics may not represent the final PlayStation 4 release. On a similar note, many outlets are reporting that they experienced bugs and crashes whilst playing. We personally did not experience any performance issues in our five hours with the game. 4A Games have always had something special with the Metro franchise. A claustrophobic, self-contained, and compelling shooter series that is engaging to play and gorgeous to look at. Playing Metro Exodus for five hours, I found the game bolsters those features and adds a great deal more on top. The third entry in this franchise stands tall above 2033 and Last Light, offering a more detailed world, better characters, and more variety across every aspect of the game. The core scavenging and survival aspects of the series have not vanished. In fact, they are more integral to the gameplay than ever before. Metro Exodus follows on from 2013’s Metro: Last Light, pitting you once again as Artyom. 2 years on from the events of that game, Artyom and the Spartan Rangers have fled the Metro tunnels and Moscow entirely. Spanning an entire year and travelling across the entirety of Russia, Artyom, his now-wife Anna, and the Rangers make their way above ground, travelling on a train, known as The Aurora. That narrative and what exactly the Rangers are doing has largely been kept secret and during my playtime, I couldn’t really grasp much more about where 4A Games are taking the story overall. In my interview with Huw Beynon, Brand Manager at Deep Silver, it was clear that 4A Games and Deep Silver want the story to be a surprise for players. However, he does highlight that he believes this is “4A’s best story yet.” Something I couldn’t help but feel in my play session was that the game appears to be taking a fundamental shift away from Mutants and creatures and focusing more on the people stuck in the aftermath of Nuclear War. This all starts with the focus on the Spartan Rangers and The Aurora. From what I played it seems like they accompany you from destination to destination, sometimes even being integral to the mission’s progression and plot, right in the middle of the action. The Aurora and its crew appear to be along for the full journey. This is a big shift from what we saw in 2033 and Last Light where most of the side characters popped up here and there but were absent for most of the game. The Aurora allows this to happen. Having this central location where all the characters are based allows you to get familiar with each one. Each member of the crew also has their own role, with some going out on missions in the devastated Russian wasteland with Artyom and others staying back to maintain The Aurora itself. Artyom’s relationship with these members also appears to grow over time, clearly signifying they are a focus for this third entry. For example, in a mission from the middle of the game, I got a free weapon from what I can only assume to be The Aurora’s gunsmith, with dialogue reflecting that he thought Artyom had been doing great work in helping the crew. That focus on characters extends to the game’s levels as well. Being above ground, you are more likely to meet people who are just surviving. These people are trying to survive in the desolate, barren stretches of land in any way they can. One of those people was a Sniper, taking refuge in an old lighthouse. I encountered in that same mission from the middle of the game. Whilst she assisted Artyom on his mission, I got to learn a bunch of information about her, including why she was in this certain location and her past life before the war broke out. The Sniper I met, is one of a variety of interesting characters I met out in the world. In another mission, Artyom and Anna investigated an abandoned church, only to find it was being squatted in by a cult of survivors who weren’t exactly friendly. When reaching the top of the church I found a mother and her son trapped by this cult, unable to leave. I then proceeded to rescue them, making them a permanent addition to the crew on The Aurora. The detail and backstory given to these side characters has never really been done before in the series. It was exciting to see such interesting characters in the world, as I never really cared about anyone outside of the core cast in previous games. On top of that, the prospect of The Aurora’s crew changing over time could create some interesting character dynamics and situations later in the game. The game’s shift away from the moral choices relating to the mutants and instead, moving towards the moral choices relating to humans appears to be building a more relatable and grounded framework for the game. How does Metro Exodus really build on its classic survival gameplay? Well, the answer is it places survival at the forefront of gameplay. Ammo, materials and gas mask filters are in incredibly short supply, making each shot and decision one you have to plan and think about. By short supply, I mean in incredibly short supply. I was playing on normal difficulty and constantly found myself running out of ammo, having to switch out weapons or resort to meleeing. In previous Metro games, ammo was always in short supply; however, I was never running out of it on a consistent basis. The lack of resources definitely took some getting used to; however, towards the end of my playtime, I found myself learning when and where to conserve ammo and which weapons and equipment to use in different situations. So, the survival aspects definitely play more of a role in Exodus, but across the entire journey, I don’t expect the mechanics to impede on the gameplay too much, as you will be able to carry supplies from mission-to-mission (which I could not in my build). Scavenging for supplies throughout the game appears to be a vital part of the gameplay. Similarly, surviving in Metro Exodus felt a lot harder than in previous games. On normal difficulty, I found myself dying in three-to-four bullets, leaving me a little frustrated during heavy combat-focused sequences. This problem persisted throughout my playtime and is one of my concerns with the game. I never felt like I had a fair fight. I couldn’t approach encounters and feel like I was able to hold my own. Instead, I would peak out, get shot, use a medkit, and repeat. I hope that this has been toned down in the final release as combat against humans was not enjoyable. Combat needs some fine-tuning before the game’s full release, in order to make it more enjoyable. Stealth was also not very fun from what I played. Enemies would spot me from unfathomable distances; when I would try to sneak around, I felt that their cone of vision was impossibly wide. Multiple times I would approach an enemy from behind at an angle, thinking I was safe, only for him to unfairly spot me and kill me immediately. Fights against the mutant creatures of Russia did not suffer from these issues and were satisfying and engaging. The things Metro Exodus adds to the franchise is by far what impressed me the most. The biggest new addition to the franchise is the open levels. Previous Metro games have largely taken place in claustrophobic and narrow Metro tunnels, guiding you heavily. If you did go above ground, those levels were incredibly linear forcing you along a specific path. Metro Exodus introduces larger, more expansive levels. These levels are most similar to the ‘Madagascar’ and ‘The Western Gats’ chapters in Uncharted 4 and Uncharted: The Lost Legacy respectively. Not open-world but larger and allowing for more player freedom. I got to experience three of these levels. The first was The Volga which gently eased me into this new style, as this level is the first time the game opens up. The second level was The Caspian which was the most surprising. Taking place in a wide, arid desert (an unusual scene for a Metro game), I was left to my own devices to do what I wanted. You can see this level in our gameplay which we captured. The third level was The Stagia felt like a blending of the claustrophobic and dark levels from the first two games and the open areas of Exodus. That one offered a foreboding feeling that enemies were lurking everywhere waiting to initiate their attack. The Caspian was the most open level I played, allowing me to go off in endless directions to explore. These levels feel like a breath of fresh air for the series. Being able to explore the relatively uncharted Russian wasteland at my pace felt like a dream. These levels also help add variety to the game. No longer was I stuck in the same Metro Tunnels for fifteen hours. Now I can explore vast deserts and dark and dank caves, with the metro being interspersed between them. This is in addition to the changing seasons, with missions transitioning between all four over the course of the game. In those three levels I played I was eager to wander off into all the nooks and crannies of the level to find supplies or collect one of the collectibles. Those collectibles added so much more to my intrigue in the world and characters of the franchise. One set of collectible notes I found referenced a small group of survivors, running a school for children in the Wasteland teaching them about the world before. This all was emphasised with the exemplary environmental story-telling that 4A Games has always done so well. Those notes led me into that school, only to find a creepy and twisted indoctrination process that left me unsettled. I had that experience numerous times and I can’t wait to discover every little story 4A have hidden away. These levels are what I imagined 4A Games always wanted to create. It reminded me of playing Fallout for the first time, only Metro Exodus looks better, runs better, and is far more polished, even in the development build I played. And, my god, does Metro Exodus look stunning, each environment was incredibly detailed beyond belief. To the same degree, character models looked outstanding and felt like what people actually behave like. Their movement, dialogue all resembled reality perfectly. Metro Exodus also adds a whole suite of new creatures into those environments. The most terrifying of all were these humanoid creatures who walked on four legs, climbed buildings, and swarmed Artyom in packs. The most nightmare-inducing aspect of them is the fact that they will stick themselves to the floors, walls, and environment, blending into the dusty walls of a destroyed building, for example. This resulted in me sh****** myself numerous times, for lack of better phrase, as they jumped out from the corner of my view. Classic creatures also return such as the scorpions who are afraid of light, as well as the infamous, bear whose jaws and slobbering mouth are as unsightly and gross as they were in Last Light. Classic enemies return, such as the Nosalises, including some new additions. The final big change is the weapon customisation. 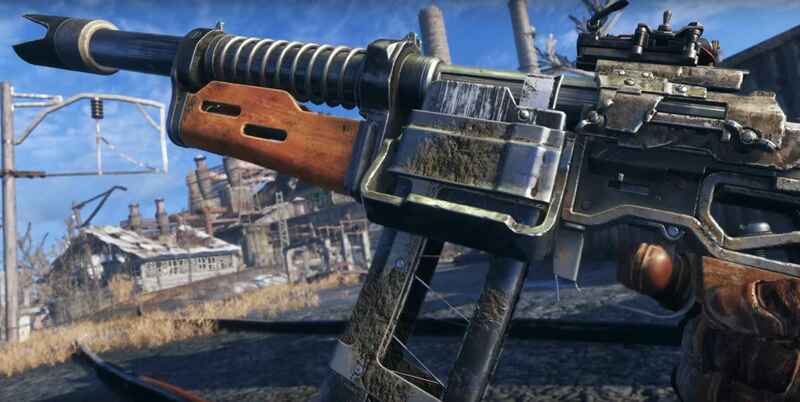 Now you can craft attachments, pneumatic ammo, health kits and more on the fly by opening up Artyom’s backpack. From there you can see how the changes you are making directly affect the weapon, both stat-wise and visually. Barrels will clearly extend the length of your gun and helpful stat bars see just how much your weapon is affected in terms of range. Scopes also seem to be much more influential as I found bigger scopes to be clunkier, making it far more difficult to aim in close quarters. This changes how the game plays a lot and allows you to control every situation and encounter to a far greater degree than the last two games, truly planning every scenario. Seeing weapons up close allows you to see how attachments affect them. You also get to see how detailed they are. Overall, Metro Exodus impressed me. Everything about the game is at a much greater scale. The environments and world look absolutely stunning, the gun’s pops and bangs are sharp and clear, and the story appears to be going in an interesting and exciting direction. The new open-ended levels make the franchise feel entirely new again. However, the core survival aspects that the Metro series is known for is still present. Ammo is hard to come by and Artyom still needs to wipe off his gas mask, change his filter, and pump his pneumatic weapons. I walked away with no major concerns. Everything in the game is polished and tight to a degree I haven’t seen outside of a Sony first party studio. The combat was not enjoyable, but that can easily be fixed by changing the damage output of enemy combatants and upping Artyom’s health (which I hope 4A games does). 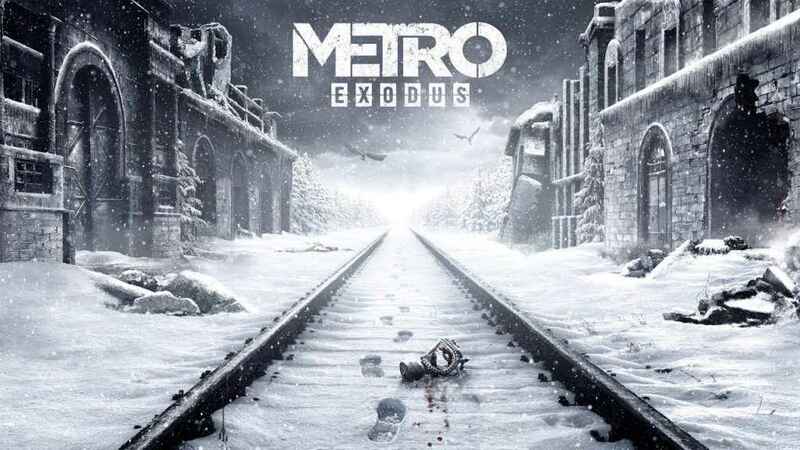 Nevertheless, Metro Exodus looks to be the entry that pushes this franchise into the spotlight, giving it the appreciation and love it has deserved for almost nine years. You can check out our other Metro Exodus coverage including 6 new things I learnt about the game, as well as my interview with Huw Beynon, Global Brand Manager at Deep Silver on the story, characters and the world of Metro. how many fps on ps4pro? Is there a 1080p60fps mode? If the game is only at 30 frames per second, then this is very bad for a shooter.